Over the last few weeks I have looked at constipation and diarrhoea. But from seeing people at our bowel health clinic, I am very aware that for many people who are struggling with irritable bowel, the problem is not always as clear cut as constipation OR diarrhoea. Many people don’t really know which way to turn or what to try, because their bowels can’t seem to make up their mind, swinging wildly from one extreme to the other. A couple of months ago a girl came to ask if we could help her. She would often be constipated for days, feeling more and more bloated. Then her tummy would start to ache and the diarrhoea would start, with lose bowels, wind and bloating being an issue for the following days, before the constipation started again. When the diarrhoea and lose bowels hit, she felt that she had no option but to take Imodium or something similar sometimes, even though she knew that often this just aggravated the constipation. She was always too scared to do anything about the constipation, in case it triggered a diarrhoea attack. I sat down and talked to her and explained that when the bowel alternates in this way, it is often the constipation which is at the root of all the problems. 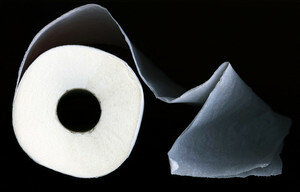 Basically, as the constipation builds up, it starts to cause pain, inflammation and irritation in the bowel. This irritation then often tends to lead to the pain, wind and lose bowels, as the bowel tries to clear itself. The best way then to try and break the cycle is to get the bowel working properly on a daily basis – avoiding the build up of constipation and therefore hopefully also the diarrhoea. To try and do this I suggested that we tried to improve the health of her gut generally and get her going regularly. Getting the right type of product here is important – we don’t want a fibre to swell in the gut or anything purgative – but we do need to get the bowel working better. I suggested that she try a supplement of magnesium citrate – an important mineral which we have found can actually help to improve the function of the bowel, without any ‘purging’ effect or any swelling. I also suggested she use a good probiotic – in this case Solarays Mightidophillus12. Probiotics are known to be important in maintaining bowel health and if someone is bloating a lot, we think this tends to indicate that they could be low in these good bacteria. On top of this we made a few changes to her diet – increasing her water intake and decreasing tea, coffee and sugar a bit. I asked her to report back after two weeks – which she did – and she was really pleased to report that after only a week her bowels had started working better – she felt hopeful that we were on the right path. The good news is that this was the case and now after a few months she has not had an attack of her IBS for ages and she is feeling much happier and in control!